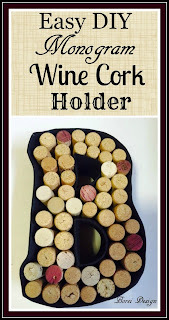 Here's how to make a cute monogram wine cork holder display practically for free! 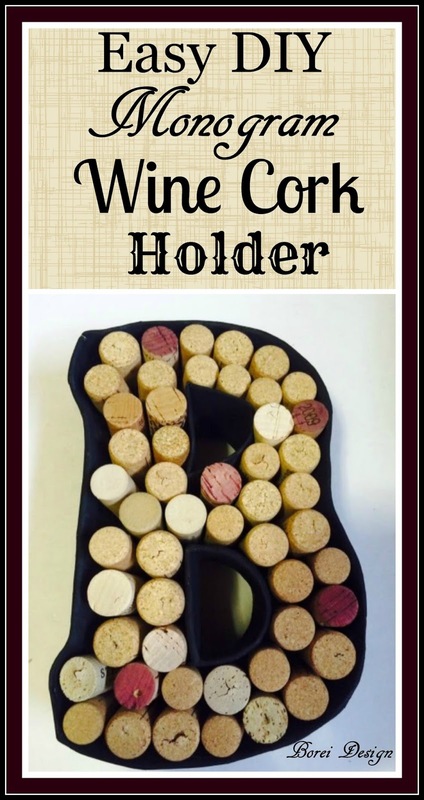 The New Year is the perfect time to start saving wine corks to display in a unique new way such as with a monogram cork holder. For decorative purposes, you can fill up the holder all at once (if you already have a collection) or you can fill it as you go throughout the year. You can even write the date or other info on the end of the corks to mark bottles opened on special occasions. There's lots of pricey wine cork holders out there to choose from but it's even more special when your create your own using recycled materials. Here's how to do it. 1. 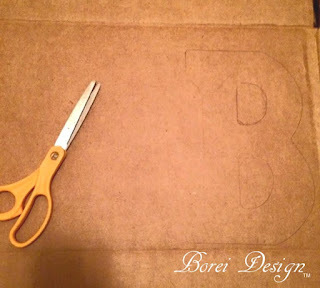 Trace and cut out your desired letter on heavy cardboard. 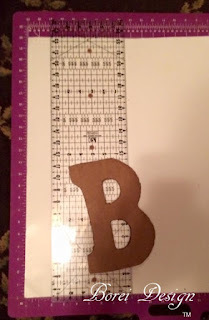 I traced a large wooden "B" that I happened to have at home but you can just as easily print up the letter in the desired font on your computer to use as a pattern. 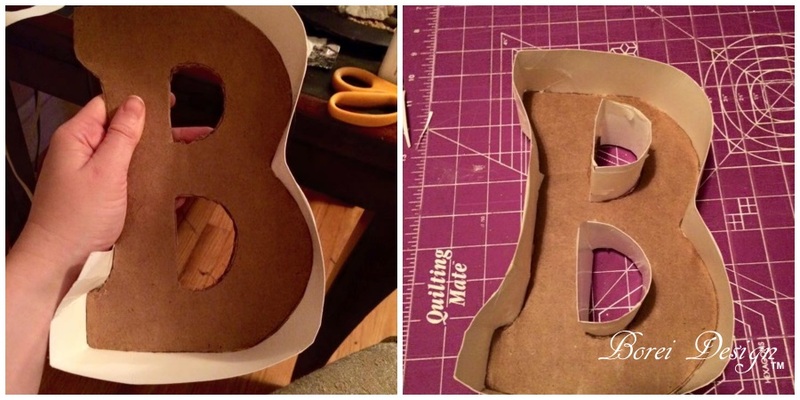 For the cardboard, I used a heavy box I pulled out of a recycle pile. 2. 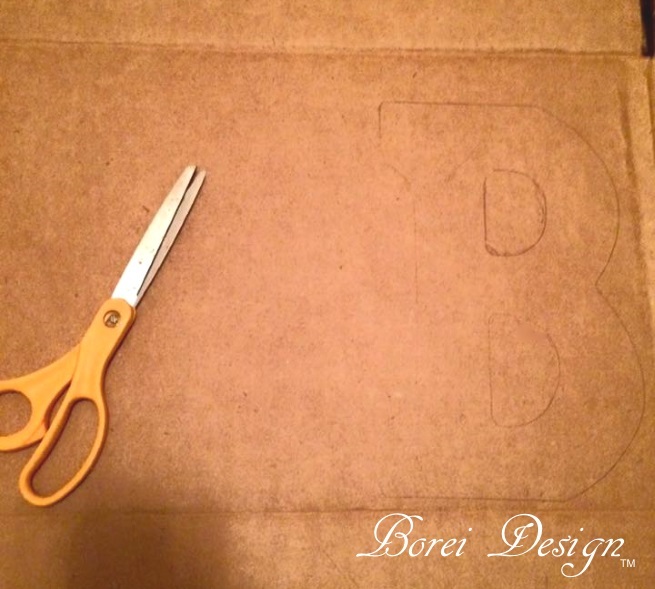 Cut 2 inch strips of thin poster board (cereal boxes will work) and hot glue around the outlines of your letter. 3. Cover the entire letter in several layers of newspaper strips dipped in paper mache paste until sturdy, allowing the strips to dry completely between each layer. 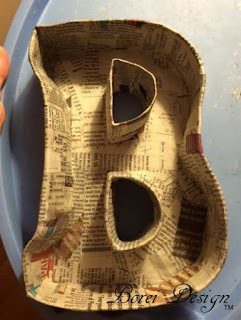 (For my paper mache paste recipe and quick drying tips, see my post: How To Make A Paper Mache Pumpkin). 4. Once project is completely dry, decorate as desired. I simply painted mine using black acrylic paint. You could also finish it with a decorative paper print. The possibilities are endless. 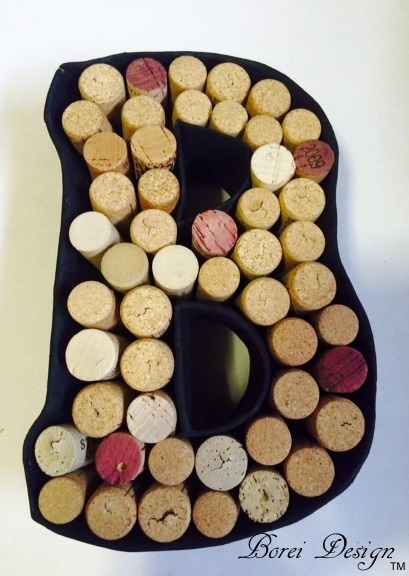 5.Wedge corks tightly into holder to secure. 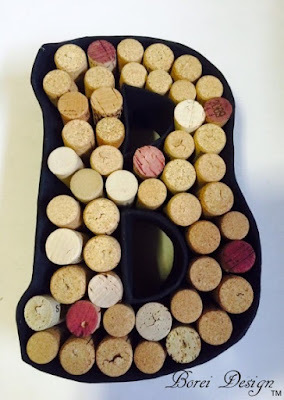 Add a little hot glue to the bottom of the corks for extra placement durability, if desired. 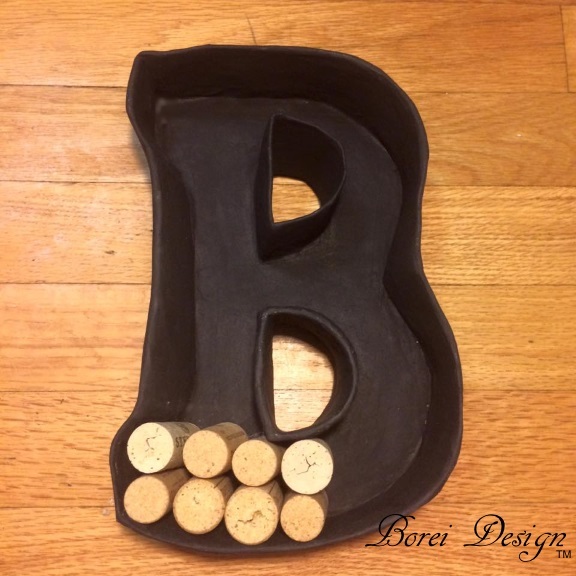 The cork holder can be placed on a table, shelf or etc or you can add a hardware (or a soda can tab) to the back to create wall hanging. Happy New Year, cheers to you and happy crafting!